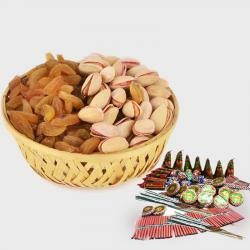 Product Consist : Assorted Dryfruits (Weight : 1 kg ) with Assorted Fire crackers (Worth Rs.300/-) (Note: Types of Fire Cracker are depends upon their availability no specific choice). Presentation of any gift matters a lot, after all that is the first thing that anyone notices in a gift. 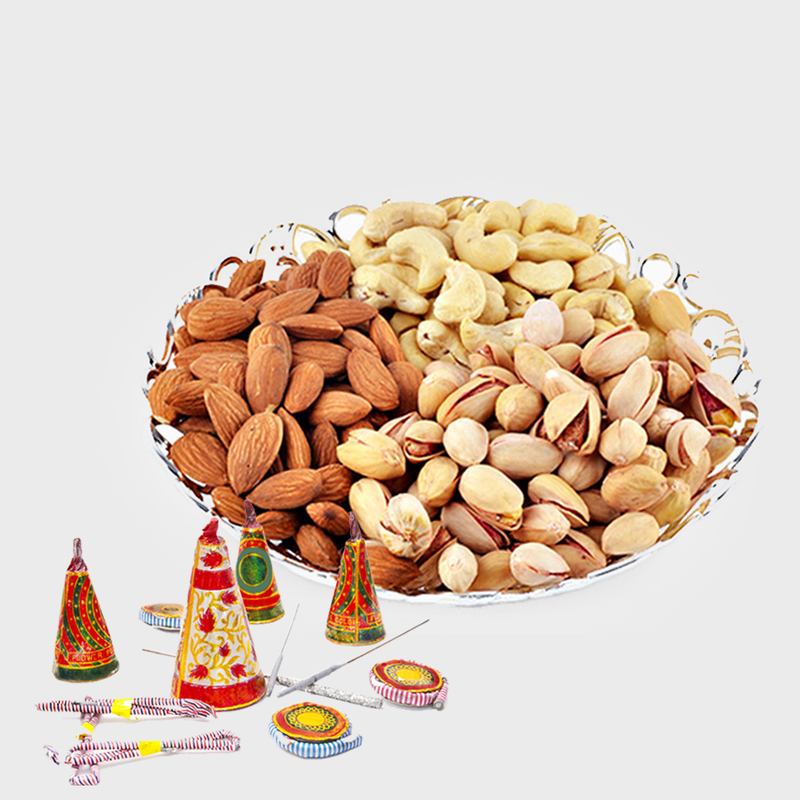 So we bring to you a hamper that is fabulously presented with its contents, which are assorted dry fruits placed in a box along with firecrackers. 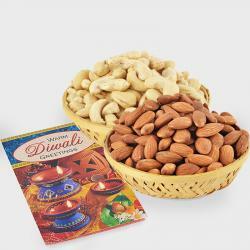 Diwali Crackers worth Rs. 300 to burn away the darkness and to start a new life with the positive energy. 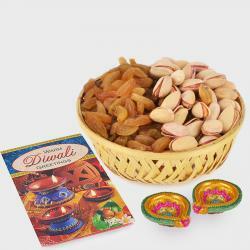 For the festival of Diwali, take a pick on this hamper as it will deliver your heartfelt emotions perfectly. Make a memory with them that they will cherish for a lifetime. 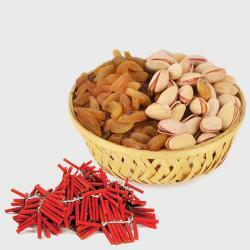 Product Includes : Box of Assorted Dryfruits (Weight : 1 kg ) with Assorted Fire crackers (Worth Rs.300/-) (Note: Types of Fire Cracker are depends upon their availability no specific choice).